Kate Thompson - glamorous housewife-turned-MP - surprises everyone with her meteoric rise at Westminster. When Kate is sent as a trade minister to India, she hopes it will be her moment to shine. But, embroiled in a personal scandal, she gets drawn into a dangerous world of corruption and political intrigue... Deepak Parrikar - billionaire head of an Indian arms technology company - is magnetically drawn to the beautiful British minister. But while their relationship deepens, India's hostilities with Pakistan reach boiling point, causing more than just business and politics to collide. 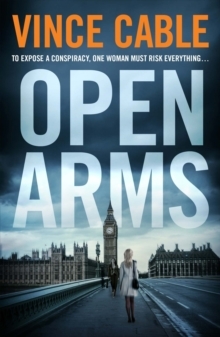 In the race to prevent disaster, can their conflicting loyalties survive being tested to the limit?Open Arms is an explosive thriller which circles from Whitehall to the slums of Mumbai. Cable's sweeping tale combines unrivalled political detail with international intrigue, desire, and the quest for power.